The government on Friday announced 2 per cent interest subvention for micro, small and medium enterprises (MSMEs) for loans up to Rs. 1 crore. “The government has taken many steps to support the MSME sector that provides jobs to crores of people in the country. We recently announced a facility to avail Rs. 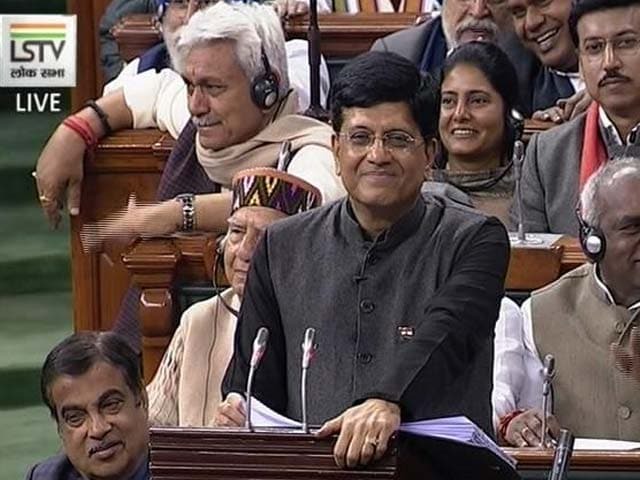 1 crore loan within 59 minutes,” Finance Minister Piyush Goyal said while presenting the Interim Budget for 2019-20. “All MSME units registered with the Goods and Services Tax (GST) will now have 2 per cent interest subvention for loans up to Rs. 1 crore,” he said. Mr Goyal said the government had also increased the share of government procurements from MSMEs through Government eMarketplace (GeM) to 25 per cent, including 3 per cent from MSMEs run by women. Till date, GeM has registered transactions of more than Rs. 17,500 crore which has led to savings of 25-28 per cent.